The best way to determine if you want to build with composite deck material or timber wood decking is to begin your research here at diy Home Design Ideas. 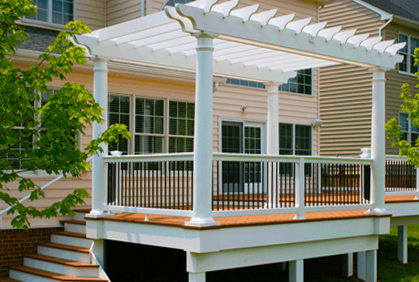 Building an outdoor plastic deck as an extension of your home not only increases the value of your home but also allows an extra room to your home. 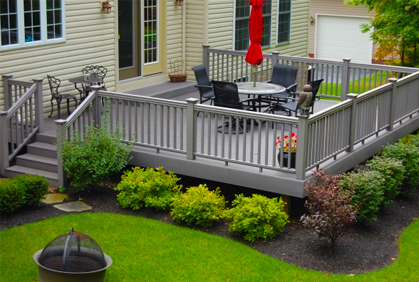 The addition of a deck allows you to entertain more guests and enjoy more time relaxing outdoors. When thinking about building a deck, the first thing you want to consider is the material you are going to use to build it. This article discuses the benefits and functions of timber decking when embarking on your DIY deck building experience. 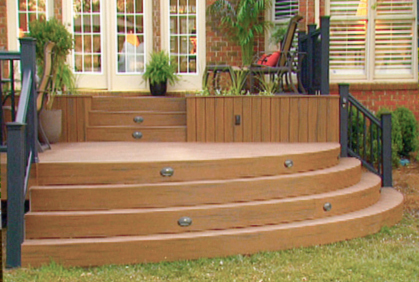 Soft woods, like redwood and cedar wood decks, are relatively durable in the outdoors. 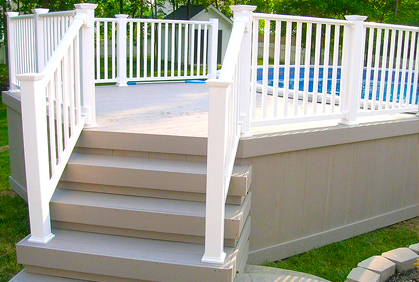 One of the common materials to use to build a deck is timber, or wood. Timber decking can be made of a variety of different types of wood and looks amazing when illuminated with deck lighting ideas. To increase the durability of your deck, you should consider using pressure treated woods that turn soft woods into hardwoods. Not only is the pressure treated wood durable and long lasting, but it is able to withstand icy weather conditions. 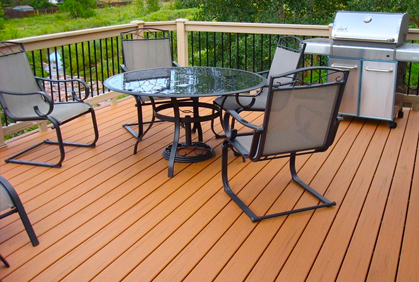 The only downside to timber decking is that it tends to be hard to clean and require a lot of maintenance. You must first add a special finishing to the wood to protect it from inclement weather. Make sure you keep in mind the high maintenance that timber designs require when choosing this type of wood for decks. Despite the level of maintenance you must put into this type of deck, timber decking is one of the most popular material for building because it easily improves the appearance of the house by adding a nature look to any home. It is suitable for simple landscaped backyards, outdoor pool patios, as well as verandas and wooden pathways. One of the biggest advantages of timber decking is that the wood does not absorb too much heat. Because of this, timber decks are easy to walk on in the hot number months because it does not absorb too much heat from the sun. For those homeowners who love to entertain guests, you can incorporate an outdoor kitchen equipped with seating for casual dining outside. If you are the type of person who enjoys to relax outdoors late into the night or during the cooler months of the year, you can add an outdoor fireplace to your deck to keep you warm. Moreover, patio furniture such as outdoor couches and benches can add a warm cozy feel to any outdoor living space. Whether you are building a small or large deck, a timber deck is an excellent addition to any home to enhance your outdoor living experience. With a little research and planning, any DIY homeowner can build the perfect outdoor extension to their home.